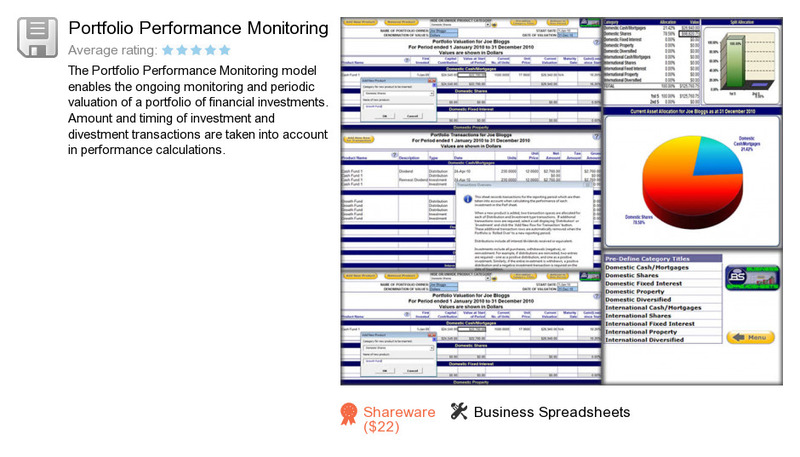 Portfolio Performance Monitoring is an application developed by Business Spreadsheets. We know of version 2.0. Version 2.0 is downloadable at our site. Portfolio Performance Monitoring installation package has a size of 138,453 bytes. Business Spreadsheets also publishes Investment and Business Valuation and Real Option Valuation.